Who says that 13 is unlucky? 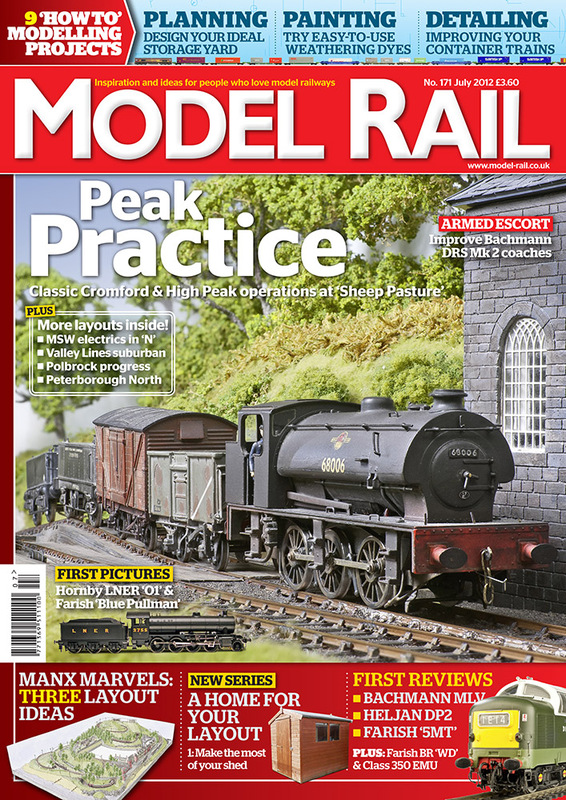 Not if you're a Model Rail reader, because here we are just 4 weeks on again and another glorious issue is hitting the shelves as from Thursday 14 June! Of course subscribers will have already started to hear their copy falling onto the doormat or the chewing sound of the dog's jaws. 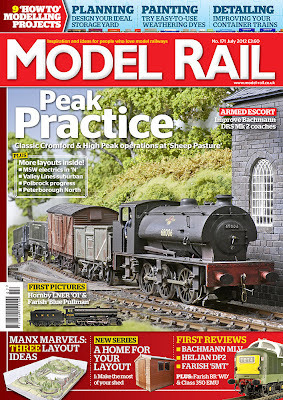 The cover shows off Sheep Pasture, a really classy bit of P4 modelling depicting a part of the Cromford & Hight Peak route, it even has a working incline to add to what is visually and operationally a fascinating and beautifully executed model railway. Of course the magazine has far more than that, as always Model Rail is your first stop for News and Reviews, we know you can get all that on intenet forums from self confessed frothy experts, but here in Model Rail we give you the real story of the good, the great and the wonderful, but won't be scared to say if it's a lemon either. And the best bit is that you want have to trawl through 169 pages of forum shaving foam to find it. And when you're funished with it, you can recycle it or line the cat litter tray with it. And if you're missing the froth, you get all this for the price of a foamy pint, well in Surrey anyway! News - lots of it! Reviews - without the froth! Layout: Sheep Pasture (see above). Layout: Mini-MSW (Woodhead inspired 2mm f/s). Layout: Waun-gron Park (warts and all Cardiff burbs in OO). Masterplan: Manx Marvels, 3 Isle of Man layout ideas penned and illustrated by the highly imaginative Paul Lunn. Boxed Off, George Dent looks at the world of containerised traffic and how to model it. Workbench (the original one that others try to follow): Shape etched parts. Workbench: Improve your DRS Mk2s. Workbench: Polbrock Part 2 (that's me!). Workbench: Make your own boilers. Workbench: Plan and build the perfect storage yard - featuring Gilbert Barnatt's Peterborough North. Workbench: Find a home for your layout. ‘Lenz 100’ a make of East German taxi? Combwich - 30 years ago!